If you've got nothing to do on All-Hallows'-Eve Eve, try out these Halloween papercutting templates from Cindy Ferguson's Scherenschnitte blog. Get the wolf here and the witch here. Cindy does amazing work and generously offers plenty of free templates to download. Some samples are below. Go get some Band-Aids and have fun. You have read this article downloads / paper with the title October 2009. 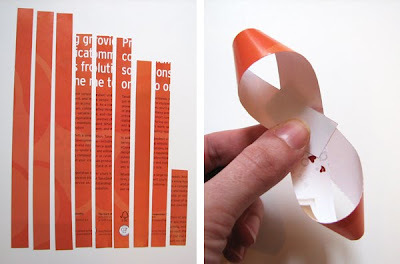 You can bookmark this page URL http://jenkrebs.blogspot.com/2009/10/free-papercutting-templates.html. Thanks! Here's a short quiz that will determine for you which colors and qualities you would most like reflected in your home. How does the magical quiz determine this? By asking you which colors and qualities you would most like reflected in your home. Not rocket science, is it. My completely non-surprising result is above. You have read this article quizzes with the title October 2009. You can bookmark this page URL http://jenkrebs.blogspot.com/2009/10/quiz-what-your-interior-personality.html. Thanks! Created by Josh McKible, NaniBirds are 3D paper models of birds based on a series of his paintings. "Nani?" means "what?" in Japanese, and it's the word Josh uses to summarize his experience living in Japan. Since the project began, dozens of artists and illustrators have added their own NaniBirds to the collection. Download them all here and construct your own flock. You have read this article downloads / paper / printable with the title October 2009. 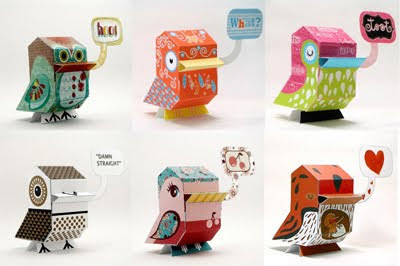 You can bookmark this page URL http://jenkrebs.blogspot.com/2009/10/nanibird-paper-toys.html. Thanks! You have read this article cards / downloads / printable with the title October 2009. You can bookmark this page URL http://jenkrebs.blogspot.com/2009/10/printable-moving-announcement.html. Thanks! You have read this article art / desktops with the title October 2009. You can bookmark this page URL http://jenkrebs.blogspot.com/2009/10/orange-illustrations.html. Thanks! You have read this article tutorials with the title October 2009. 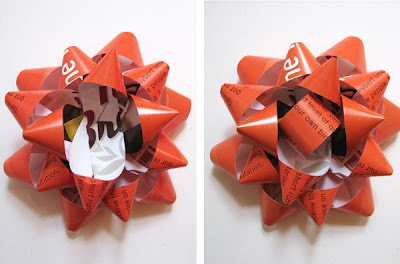 You can bookmark this page URL http://jenkrebs.blogspot.com/2009/10/diy-projects-to-keep-you-busy.html. Thanks! Typographer and illustrator Jessica Hische has created the The Daily Drop Cap project. Each day she posts "a new hand-crafted decorative initial cap for your enjoyment and for the beautification of blog posts everywhere." Or the loveliest ransom notes ever assembled. A great resource for design-savvy kidnappers. You have read this article downloads / fonts / resources with the title October 2009. You can bookmark this page URL http://jenkrebs.blogspot.com/2009/10/beautiful-initial-caps.html. Thanks! Help yourself to this lovely orange printable notecard, compliments of Pauline Grayson. Pauline is a 6'1" graphic designer who grew up on a dairy farm. I'm a 5'11" graphic designer who grew up on a dairy farm. I think this means we are twins separated at birth. Except I drank more coffee, which stunted my growth. You have read this article cards / downloads / printable with the title October 2009. You can bookmark this page URL http://jenkrebs.blogspot.com/2009/10/free-notecard-download.html. Thanks! I printed out and assembled this little skeleton-zombie guy just for kicks. At 2 1/2" tall, he's a very threatening presence. I believe he might enjoy hiding in the medicine cabinet or the cereal cupboard. To make him (he's part of the "Halloween Night" set), and other Halloween papercrafts, visit Canon's Halloween printables site. Update for those having trouble finding the template: Click here. Scroll down to "Halloween Decoration" and find "Halloween Night." This printable document contains many characters (cat, pumpkin, etc.) and a house you can build. The skeleton is on one of the pages. Click A4 or Letter, depending on what your country's standard paper size is, to download the PDF. When the template is downloaded, print page 3, the instructions, and page 8, the skeleton body parts. You have read this article downloads / halloween / paper / printable with the title October 2009. 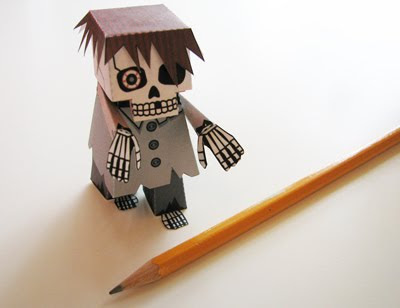 You can bookmark this page URL http://jenkrebs.blogspot.com/2009/10/skeleton-papercraft-project.html. Thanks! Always an admirer of typography-related accessories, I love this "Epershand" necklace by Isette. According to Jennifer Putzier, the artist behind Isette, "Epershand" is the Scots and Scottish English name for ampersand. How about that? And now you can win your own Epershand necklace! To enter the drawing, leave a comment on this post before midnight CDT on Thursday (10/22/09), and one winner will be selected by a random number generator. Be sure to include a link or way of reaching you. The winner will be announced on Friday in this post and contacted. Isette is also offering free shipping on all purchases by How About Orange readers through the end of October. Mention "How About Orange" in the "note to seller" field on your order, and your shipping cost will be refunded (including international orders.) To see Isette goodies in person, visit their booth at 1154 LILL Studio's Holiday Market on November 14. UPDATE: Giveaway is now closed. The winner is commenter #96, Esha. Congratulations! You have read this article giveaway / shop with the title October 2009. You can bookmark this page URL http://jenkrebs.blogspot.com/2009/10/giveaway-epershand-necklace-by-isette.html. Thanks! 1000 Markets is an online storefront for buying and selling artisan goods. You can search the entire site or browse within specialty collections. Some of my faves from the Modern Simplicity market: cherry and ash frame by Solidio, designer chair pencil pouch by Byrd & Belle, and the Chocolate Splat wall clock by Keith1000. 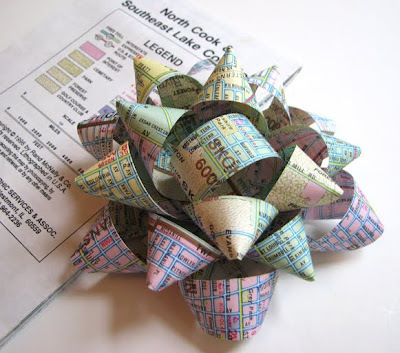 Note to self: bookmark for holiday shopping. You have read this article shop with the title October 2009. You can bookmark this page URL http://jenkrebs.blogspot.com/2009/10/1000-markets.html. Thanks! 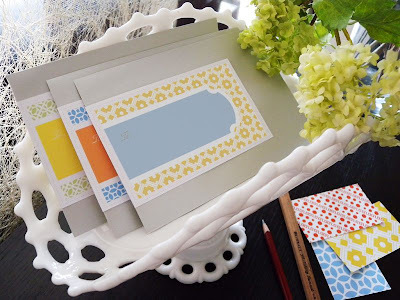 Add a little zest to your correspondence with free printable mailing labels by Oh Smile, available at Love. Obsess. Inspire. They look summery to me, so maybe I will print thousands of them and paste them over my windows so I don't have to see the gloomy fall day out there today. You have read this article downloads / printable with the title October 2009. You can bookmark this page URL http://jenkrebs.blogspot.com/2009/10/printable-mailing-labels.html. Thanks! 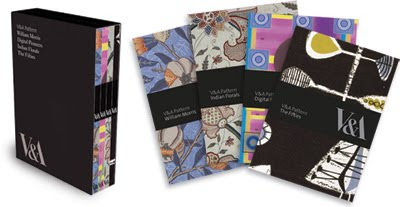 I'm enjoying a review copy of the V&A Pattern Set, a beautiful little series of picture books with patterns from different eras and artists: William Morris, Indian Florals, Digital Pioneers, and The Fifties, all from The Victoria and Albert Museum in London. The best part: each book comes with a CD of all the images. The digital files are about 6" x 8" at 300 dpi. (Images are for personal use and enjoyment only; commercial applications must be approved by V&A Images.) The books are available as a set or individually. Guess which one is my favorite volume. You have read this article books with the title October 2009. You can bookmark this page URL http://jenkrebs.blogspot.com/2009/10/v-pattern-series.html. Thanks! You have read this article halloween / tutorials with the title October 2009. You can bookmark this page URL http://jenkrebs.blogspot.com/2009/10/painted-pumpkin-ideas.html. Thanks! You have read this article shop with the title October 2009. You can bookmark this page URL http://jenkrebs.blogspot.com/2009/10/20-off-at-1154-lill-studio.html. Thanks! As a graphic designer, I get a kick out logo quizzes. Sorry; here's another one. Your job is to choose the logos that have never been official marks for various companies. After taking the quiz, my conclusions: 1) Are you kidding? They actually used some of those? 2) I stink at this quiz. 12 out of 20. You have read this article graphic design / quizzes / time-wasters with the title October 2009. You can bookmark this page URL http://jenkrebs.blogspot.com/2009/10/quiz-spot-fake-logo.html. Thanks! 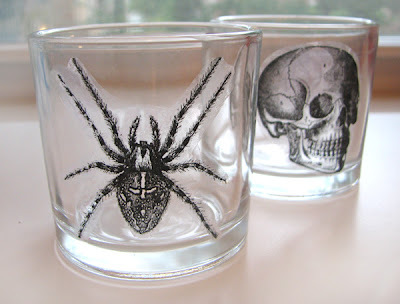 Here's a quick and easy Halloween project: votive candle holders with packing tape transferred images. 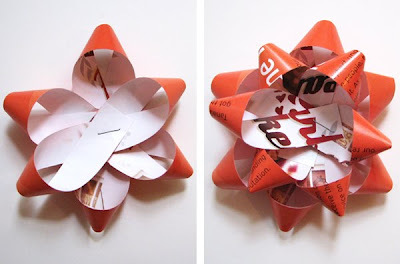 You'll need clear packing tape and access to a laser printer to make these. With a laser printer, print your images out 2" high (or to fit within the size of the clear packing tape you have.) An inkjet printer won't work for this project, so don't even think about it! Laminate the front of your image with packing tape. Use your thumbnail to burnish your image onto the tape, making sure the parts with toner are stuck down well. Then trim the picture down to size. You can either cut carefully around your image now, or just cut out a square and trim it later. Doing it now is probably easier. Soak the image in a bowl of warm water for ten minutes. Then rub the wet paper fibers off the back until you're left with just clear packing tape and toner. 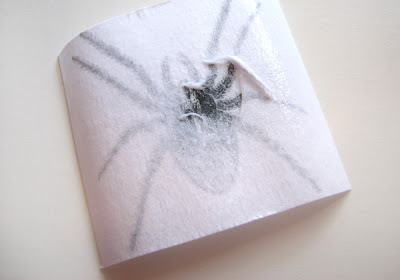 The tape will still be slightly sticky, so you can directly apply it to a candle holder, or for a more permanent solution, adhere it with Mod Podge, acrylic gel medium, or other glue. You have read this article halloween / tutorials with the title October 2009. 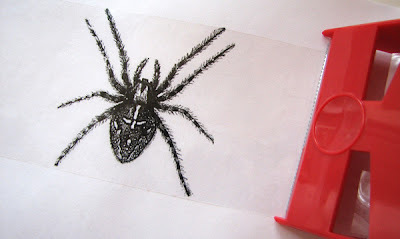 You can bookmark this page URL http://jenkrebs.blogspot.com/2009/10/spooky-packing-tape-transfers.html. Thanks! 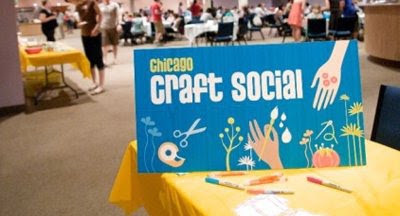 Sign up over here for the next Chicago Craft Social, holiday edition, on Friday, Nov. 13. Come eat treats and make handmade gifts and ornaments. We could also use some more project leaders, so if you haven't led a table before and would like to, email me. You have read this article events with the title October 2009. You can bookmark this page URL http://jenkrebs.blogspot.com/2009/10/craft-social-time-again.html. Thanks! 1154 LILL Studio is a custom handbag boutique that allows you to design your own handbag, purse or tote—online, in one of their shops, or at a handbag party in your home or office. LILL is generously offering How About Orange readers a giveaway: a trendy hobo style NIKKI bag in "G is for Giraffe" fabric (a $120 value). To enter, just leave a comment here before midnight CDT on Friday (10/9/09), and one random winner will be drawn. Be sure to include a link or way of reaching you. The winner will be announced on Saturday in this post and contacted. Here's LILL's nifty online design room. Kind of like sewing your own bag, without doing any of the work. Try it out; it's fun! UPDATE: Giveaway is now closed. The random number generator choose #258, Rachel. Congratulations! You have read this article giveaway with the title October 2009. You can bookmark this page URL http://jenkrebs.blogspot.com/2009/10/giveaway-1154-lill-studio-hobo-bag.html. Thanks! 1154 LILL Studio is planning their first-ever Holiday Market booth event. They're looking for 20 local designers, crafters and artisans who want to show off their wares and boost sales heading into the holiday season. The event will be held in LILL's warehouse headquarters (it's a cool old building; I've been there). It's $50 to reserve a booth. And the rest of us get to shop! Click here to learn more. You have read this article shop with the title October 2009. 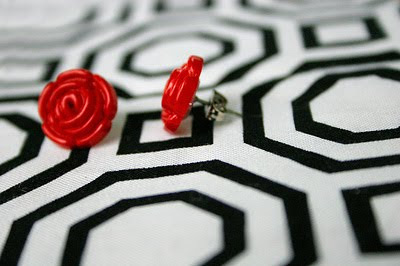 You can bookmark this page URL http://jenkrebs.blogspot.com/2009/10/1154-lill-studio-holiday-market.html. Thanks! You have read this article paper / tutorials with the title October 2009. 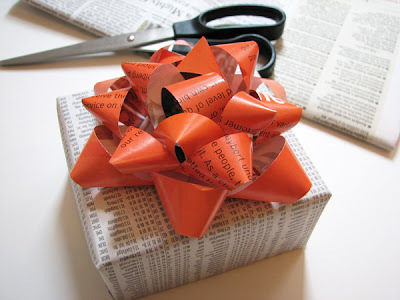 You can bookmark this page URL http://jenkrebs.blogspot.com/2009/10/make-gift-bow-from-magazine-page.html. Thanks! You have read this article fonts / graphic design / quizzes / time-wasters with the title October 2009. You can bookmark this page URL http://jenkrebs.blogspot.com/2009/10/quiz-which-is-real-logo.html. Thanks!